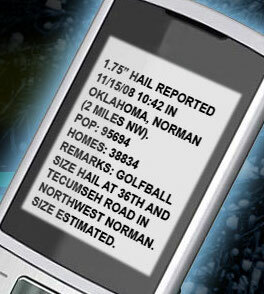 StormARCHIVE data is compiled directly from each of the 124 NOAA’s National Weather Service (NWS) offices where county, state and federal emergency management officials, local law enforcement officials, SKWARYN storm spotters, amateur radio operator NWS damage surveys, broadcast and newspaper clipping services, the insurance industry and the general public to name a few. We maintain one of the most complete and up-to-date databases of severe weather with records going back to the 1960’s! 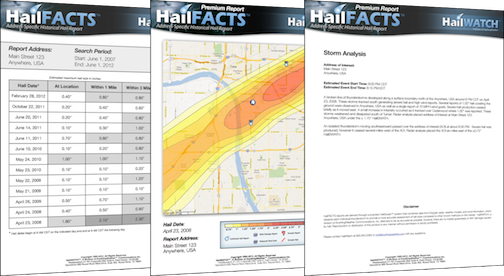 Search local storm reports based on..
Each report is delivered with both easy to use Microsoft Excel file along with an interactive Google Earth KML file. 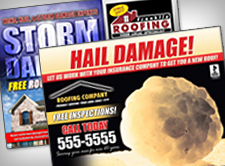 Search our archive of local reports of hail, wind and tornadoes going back to the 1960s. Entire year’s worth of customizable data right at your fingertips.